From the October 2015 Issue The foxes emerge gradually out of the thick pearly fog, flat circular hats balanced on their heads. They dance slowly and cautiously across the screen, crouching and gazing keenly into the redwood grove for any sign of intruders. A young boy watches this procession from behind a wide tree trunk, gentle rain pattering on his starched jinbei. A soft flute intertwines with an irregular drumbeat as they continue on their way. This is Akira Kurosawa’s dream—slow and balanced and tinged with a strange fear that nature will be vengeful before the end of all things. Dreams has no linear storyline, but instead skips around to differing ideas contained within a surreal sleepscape. Overall, it seems more like an exercise in experimental art that delves deeply into the unconscious desires and fears of humanity. It’s a work that demands the participation of viewers in a different way than any other narrative film—through the subconscious. 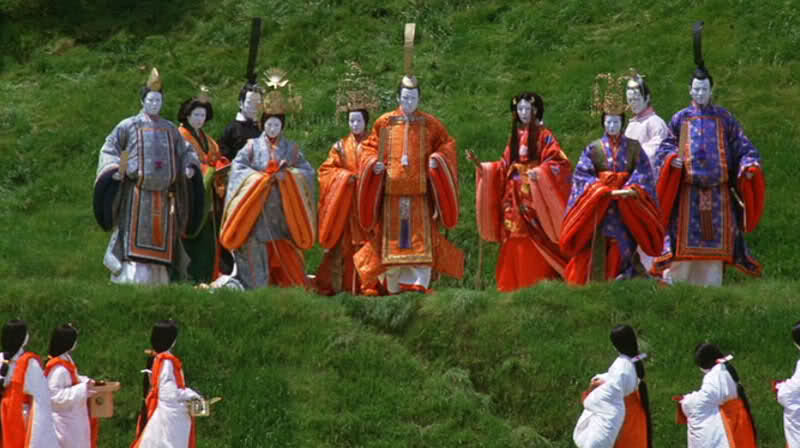 The film itself is unlike anything Kurosawa had done previously. 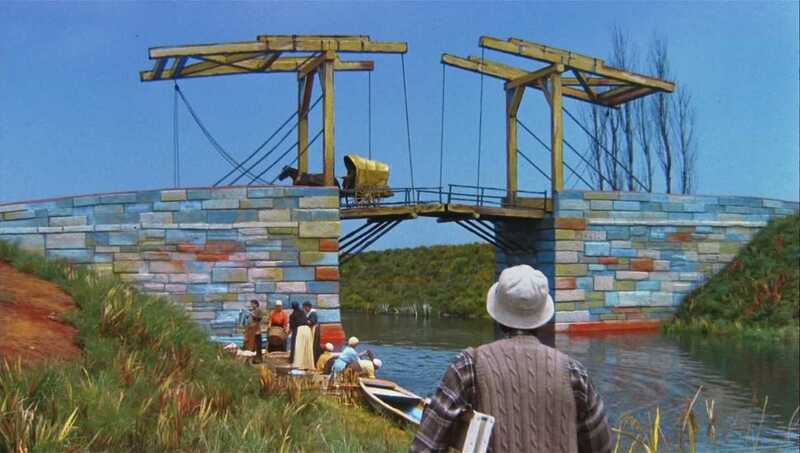 Its strange and whimsical Technicolor visions are interlaced with dark shorts that focus on death and destruction. Themes of environmentalism seep through and drench the shorts with arresting metaphors. His primary focus (at least in the beginning) is on the dreams of children. Kurosawa seems to speak directly to children with his work—validating their fears and wild imaginations—exaggerating shapes and colors to create a bizarre setting for his characters to interact in. The little boy who appears in a few of the shorts is actually a reflection of Kurosawa himself, as the anxiety dreams described are ones that he had as a child. Each encounter with a creature or situation offers a larger symbol (often pulled from Japanese folktales). Kurosawa is able to tap into subconscious ideas and transport them to a medium that can speak to a larger audience. The experiences in each of the short films are familiar and sometimes terrifying—but never seem too clichéd in their themes. It would be easy for Kurosawa to make a short film about the sensation of flying or a nightmare about some gruesome creature, but he refrains and instead chooses the subtler nuances of dreaming. The first dream, “Sunshine Through the Rain,” touches on children’s curiosity and the consequences that come from a lack of obedience. Foxes dance through the rain, a mother hands a child a long sheathed dagger, and a rainbow stretches across a vast colorful plain, leaving the rest of the story to interpretation. “The Peach Orchard” focuses on more environmental themes. A young boy is devastated when he discovers that his favorite peach orchard has been cut down entirely. The spirits of the peach trees dance for him, showing him the magnificence of their blooming leaves. The sequence is long and elaborate, and urges a reevaluation of our connection to nature. The third dream, “The Blizzard,” follows the journey of four mountain climbers battling through a seemingly endless ravine. A spirit in the form of a woman looms over the leader of the group, urging him to give in to his exhaustion and sleep in the thickets of snow. The wintry spirit symbolizes the temptations one must face on a difficult journey. The fourth and (in my opinion) the most powerful dream, titled “The Tunnel,” is about an army commander returning home from a devastating battle. He passes through an underpass and is followed by the ghosts of his annihilated platoon, their marching footsteps echoing eerily in the pitch-black tunnel. The commander is overcome with guilt and agony over his misconduct and curses the “stupidity of war.” This segment shows Kurosawa’s anti-war attitude and spotlights the guilt held by many commanding officers. “Crows” features Martin Scorsese as Vincent van Gogh—a tortured artist contemplating his painting in the middle of a vivid ochre field. A fan of van Gogh has climbed into one of his paintings to find the artist and meet him. The whole encounter is surreal and touching. The next two dreams, “Mount Fuji in Red” and “The Weeping Demons,” promote quite a similar message. Kurosawa heavily criticizes nuclear power—focusing on the vile effects it has on humanity and the landscape around us. He examines human greed and comes to the conclusion that our worst enemy is ourselves. The final piece is titled “Village of the Watermills.” In this fantasy, humanity is free of consumerism and technology. People value both life and celebrate death. This dream is quite literal and ends the series on an optimistic note of tranquility and utopia. Akira Kurosawa is most well known for his action dramas like Seven Samurai and Rashomon, and this experimental collection of short films is often unfortunately overlooked. In a way, Dreams abstractly asks the viewer to evaluate their own subconscious and search for a meaning far greater than its surface imagery, and that’s what makes it a hidden gem. Tags: Francesca Hodge, October 2015. Bookmark the permalink.